There are different octaves making up the eighty-eight keys on a piano, but still only twelve notes. 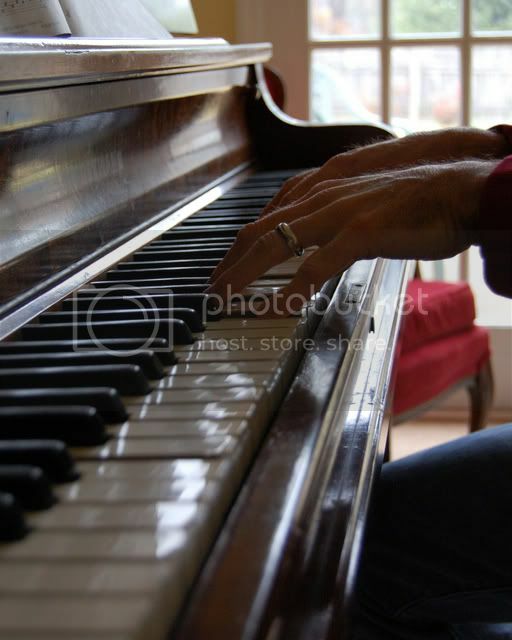 I thought about this as I looked at the picture I took of my hands and the piano keys. I realize that I have something in coming with the great composers throughout history, twelve notes. I can play those twelve simple notes, not in the order or with the same timing of Mozart, Beethoven, or Rachmaninoff. But with enough practice, I can play at least something as good as they did, scales, because I have the basics notes. Just one of that thing that popped into my head as a self-proclaimed Artologist.